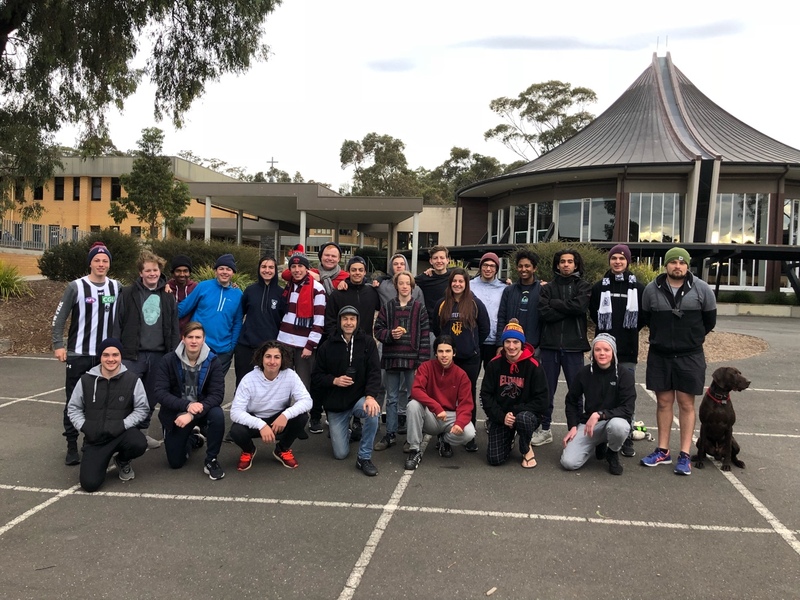 On Friday 14 September the Brandsma House relaunched its Sleep Out activity that was started by Peter Ciardulli six years ago. This year’s focus was to support the House’s charity Avalon that looks to assist the homeless and the disadvantaged in our community. During the week leading up to the night, the Brandsma students and their families scoured their homes for men’s clothing that could be donated. The clothing is given to the homeless via the Avalon van that travels out to the streets. In addition to this, students have been donating coins throughout the term. The Sleep Out relaunching was driven by the Brandsma Captain Sam Ellingsen who worked with the College leaders to promote a simple but effective action that would enable our community to improve their awareness of the plight of homelessness. By no means did the boys think this action could replicate the experience of homelessness but it provided a glimpse into a world that is different to our boy’s lives. The small but passionate crew of students was mainly Brandsma but there was a mixture of other students that jumped on board. The Chapel’s courtyard acted as the base area for the boys to sleep. The weather was thankfully mild and sleep slowly occurred however, the boys appreciated the morning sunlight as a sign that things were coming to a finish. Parents, David Mariniello and Jennitta Loman, graciously offered to assist with a 6:30am breakfast on Saturday morning. Eggs and bacon were donated kindly by Br Sean, the Macrokanis family, the Phelan family and the Shanley family. The bread rolls were donated generously by Breadstreet in Mont Albert via the McIntyre family. A special mention to Ms Dekazos, Mr Buchan, and Mr Buchan’s dog Scout, who slept out for the night and assisted with supervision. As always, it is a humbling to share these experiences with our students and hopefully this is the beginning of an annual event that will grow and build a meaningful activity for the Whitefriars community.